Advances in technology make everything faster; sleeker; wireless. 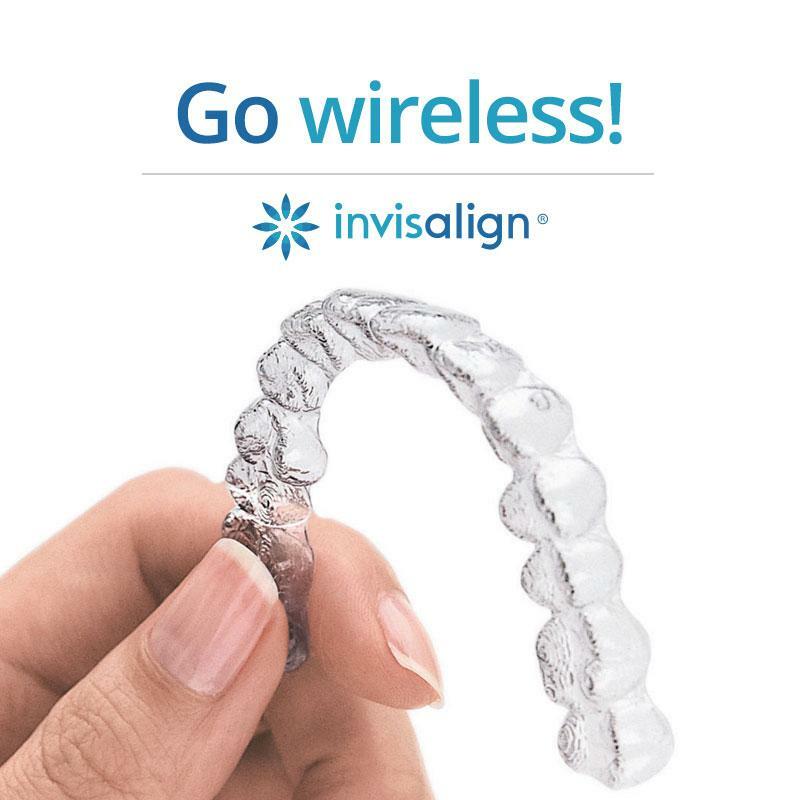 Nothing has a tangle of cords attached any more; from phones to computers – even dental orthodontic treatments have gone wireless with the clear appliance system of Invisalign. If the thought of hardware in your mouth makes you cringe, but you’ve resolved to improve your life, your health and your self-esteem for 2017, Invisalign may be for you. 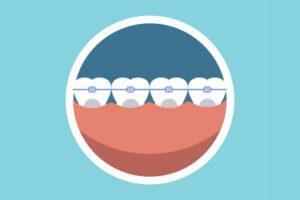 Invisalign is the perfect way to correct crooked and misaligned teeth, without the brackets and wires of metal braces. It’s subtle, easy to use and wearer the freedom to remove it as needed. The idea of having to wear metal braces for a period of 12-18 months puts a lot of people off. In fact the thought of wearing braces seems to bother many adults even more than living with a crooked smile, so they just keep hiding their teeth. Even people committed to fixing their teeth keep procrastinating about it. “Oh, I don’t want to be wearing braces for the upcoming work dinner/child’s Communion/cousin’s wedding”, they say. Yet they are so self conscious about their wonky teeth that they’ll keep their lips firmly clamped in all the photos; resolutely unsmiling throughout the event from embarrassment and self-consciousness. This reluctance to wear wires is one of the reasons Invisalign has become a popular alternative to traditional metal braces. 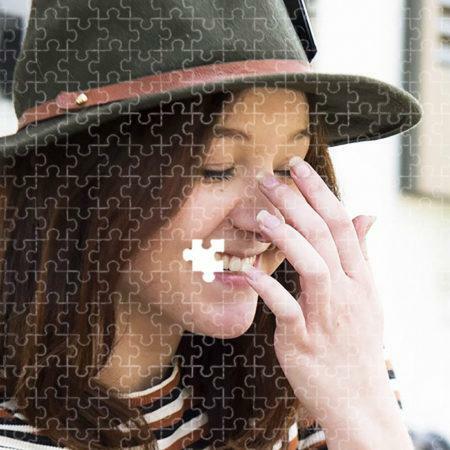 The clue is in the name- it really is an almost invisible way of aligning your teeth – and you can take it out when you need to. How Does Invisalign Work To Correct My Teeth? Invisalign is quite a high-tech process, involving 3-D imaging performed at the Invisalign lab in the U.S. to calculate the desired position for your teeth. It’s this advanced imaging that allows the creation of a series of customised appliances to correctly stage your realignment. Our Orthodontist will meet with you to determine if you are a candidate for the kind of correction Invisalign can provide. If so, we’ll arrange for impressions of your teeth to be taken. Each patient will receive a personalised video of their case from the Invisalign lab, with a computer animation of the anticipated progression of realignment so you can see the results before you start. 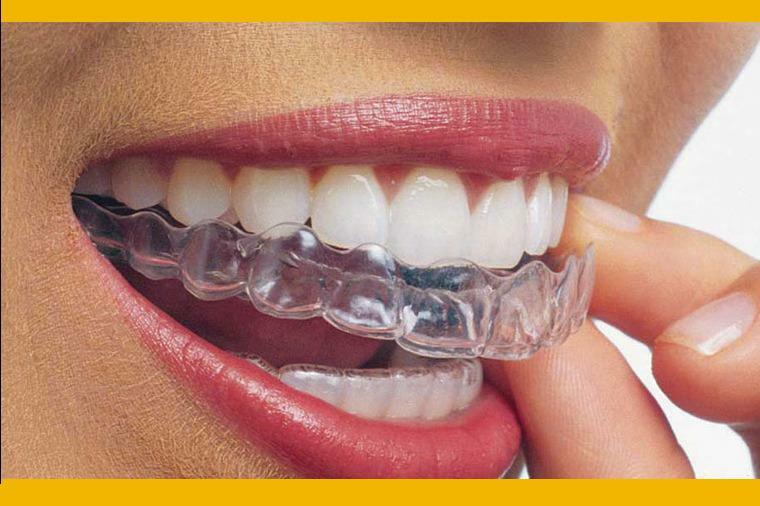 The Invisalign system consists of a series of clear plastic trays, custom-made for each patient. Each tray is designed to fit different stages of your treatment as teeth are guided back into place over time. The gentle but persistent pressure of the carefully engineered trays is tailored for different stages of treatment, over a prescribed number of months. Invisalign uses a series of customised transparent removable trays to straighten your teeth without metal wires or brackets. The trays are made specifically for you using impressions taken at Smile Store, sent to the Invisalign laboratory in the US. They use 3-D computer imaging technology to calculate the optimal positioning of your straightened teeth and create the series of appliances specifically for your case. 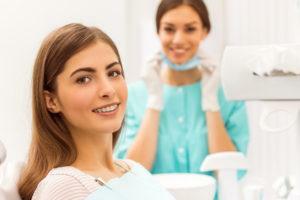 As you progress through the prescribed series of trays, teeth are incrementally moved a little more each week. Ultimately they are guided into the correct straightened position our Orthodontist has discussed with you. Initial Consultation: The initial consultation for Invisalign is €80, and if the Orthodontist thinks you are a good candidate for Invisalign, he’ll take 2 specific X-Rays at €45 (OPG) and €55 (Ceph). Once it has been determined that you are a candidate for the kind of correction Invisalign provides, impressions of your teeth as well as photos and other clinical information will be taken and sent to the Invisalign Lab. You’ll pay the non-refundable first half of the planning and manufacturing cost of your Invisalign appliances in the amount of €650 at this appointment. Invisalign in the US will then develop a detailed treatment plan for you. It clearly outlines the number of visits you’ll make to see us at the Smile Store practice as you progress through each stage of your Invisalign treatment; how many trays you will require in your treatment, and how long you will wear each stage for. Every patient’s case is unique, but as a general rule Invisalign treatment takes between 12 to 18 months; with a number of tray changes as you progress through the treatment. This will vary by patient as optimal results for you are the goal of your Orthodontist. Once you have seen the customised computer animation sent to you from the Invisalign Lab and opt to proceed, the trays are manufactured for you and sent to Smile Store. You’ll be charged the second half of the planning and manufacturing cost of your Invisalign appliances in the amount of €650 at this appointment. You’ll need office visits every 3 to 6 weeks, depending on where you are in your treatment. Each visit is €95 and this is your only remaining cost until the last stage of your treatment. On Completion of Treatment: Once your teeth have been guided into place by your series of trays worn over the specified treatment time, you need to keep them there. This involves the wearing of a retainer at night for the ‘retention phase’, which again will vary by patient. The retainer created for you (from impressions of your newly straightened teeth) will cost €150. When Can I Remove My Invisalign Device During The Day? You need to wear your Invisalign devices for 22 hours a day. You can take them out for eating,, drinking, brushing and flossing. You may remove them for special events if you wish, but remember that to be effective, they need to be in your mouth! To find out if you are a candidate for Invisalign wireless, clear braces just call us to book an appointment with our Orthodontist on 0221 432 0004.